Posted June 19th, 2016 by Melody Taylor-Fliege & filed under Life Coaching, Personal Growth, Spontaneous. Empowering! Transforming! Touching people’s lives around the world is so rewarding as a Coach. I love coaching! 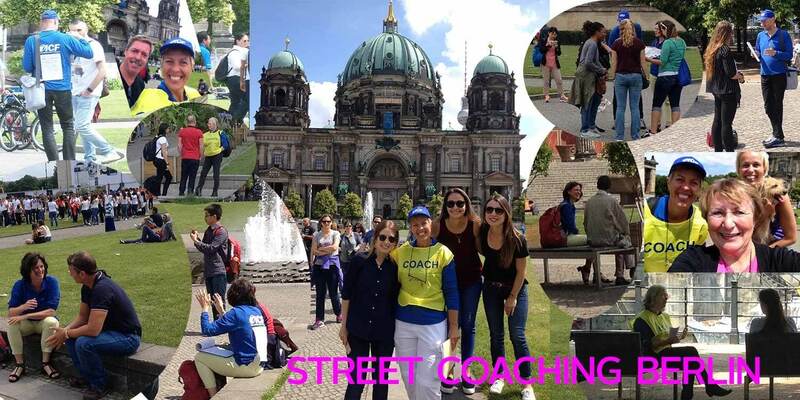 Today our team of Street Coaches connected with people from parts of Asia, Europe, North and South America… coaching in German, English and even Russian! A BIG THANK YOU to our team of coaches! Thank you to all the special people who participated in our Street Coaching and took the courage to open-up to something new! A beautiful day Am Lustgarten in Berlin, Germany!